Hummingbird are proud distributors for the RAM Mounts range of GoPro specific mounting solutions. 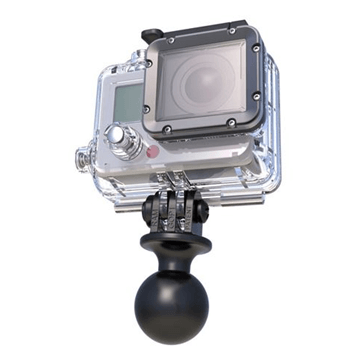 Safely mount your GoPro to any vehicle or securely fasten to record the action as you travel and explore. The RAP-B-202U-GOP1 by consists of a 1" diameter rubber ball, connected to a custom GoPro® adapter.